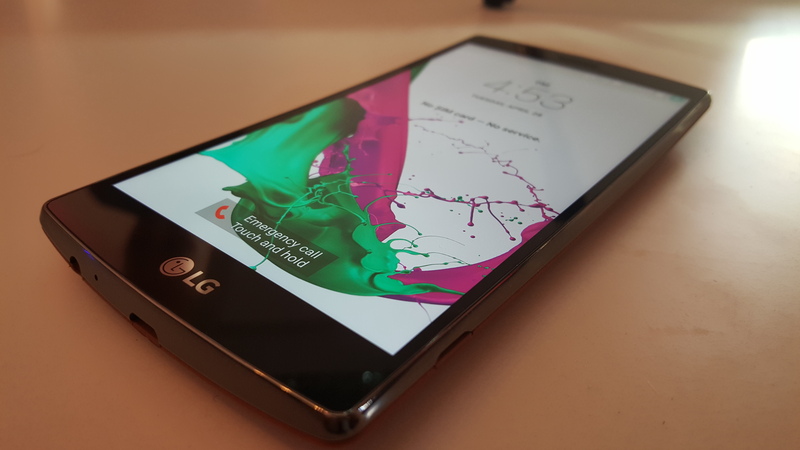 In what seems to be an ongoing trend, LG is not looking for its newest flagship smartphone – the G4 – to revolutionize the company’s range of devices. Instead, it’s about refining an already solid formula by improving key areas, like the camera and display. 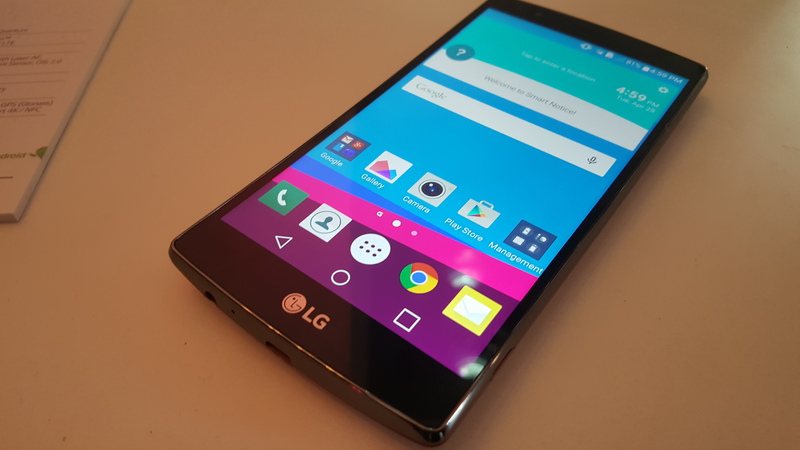 Mere numbers on a page don’t mean much though, it’s how the handset performs that really counts, so we spent a few minutes with the device at the launch in London to find out just how different to the LG G3 the device really is – and whether it can take on Samsung’s 2015 S6 and S6 Edge models. At first glance, you might feel like the G4 keeps exactly the same chassis as its predecessor, but it’s rear panel curve is actually a little more accentuated, and as a result, there’s also now a slight curve to the display. The G3, while it had a curved plastic rear panel, had a flat screen. 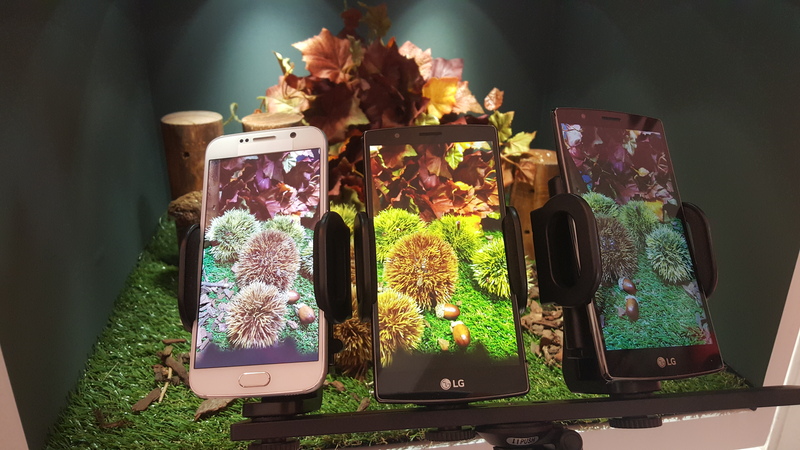 LG claims the curved chassis makes the handset easier to hold without dropping – and better protect the display in the event that you do drop it face down. The launch event isn’t the place to test such things, but it certainly was easy enough to hold in one hand for me, even with its 5.5-inch display – thin bezels help here. The Quad-HD ‘Quantum’ (2,560 x 1,440 pixels, 558PPI) display is one part of the device that the company made a lot of noise about at the event – and for good reason. It’s generously sized enough to make watching an episode of your favorite TV show worthwhile, but not so overly huge that it weighs down your pocket too much, or becomes uncomfortable to hold. It looked a little sharper and brighter too. The biggest change in terms of appearance is on the back, at least if you opt for one of the leather case panels, which come in a variety of colors. As well as looking a little more classy than plastic – which is up for debate, depending on your feelings about a leather phone – it does make it a little easier to hold on to. At 9.8mm at its thickest point, the G4’s certainly not going to win any ‘world’s slimmest’ awards. Personally, I don’t mind this. I’d rather have a phone that’s comfortable to hold than one that feels slippery. 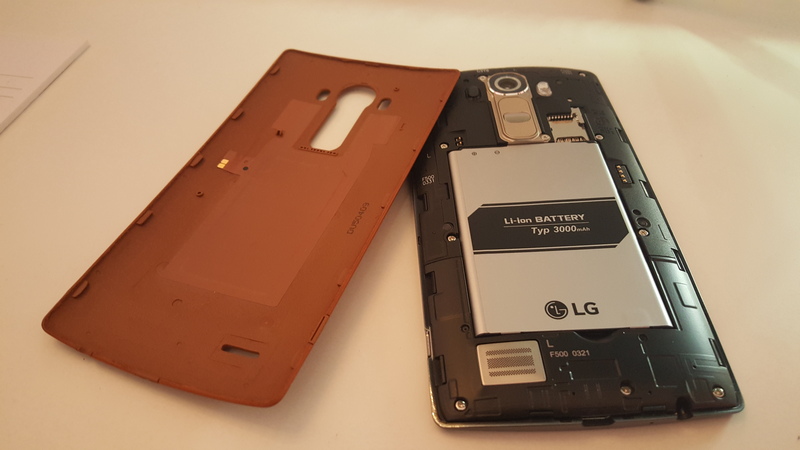 It’s nice that the back cover and battery are still removable and that there’s support for microSD cards. 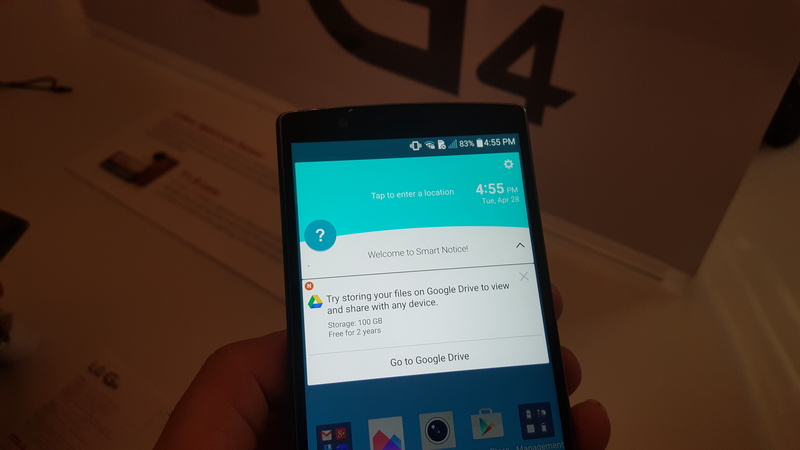 At its core, the LG G4 runs Android Lollipop, but it’s also the first device to use LG’s UX 4.0 customization. That means it still has features like Knock Code (security) and Knock On (tap to wake), but Smart Notifications should be more relevant, personal and useful than before. There are also new features baked in, like Gallery Memories, which automatically sorts out all your photos based on time and location. Processing is done on the phone, so there’s no battery drain (or privacy implications) associated with uploading and sorting your pictures in the cloud, either. 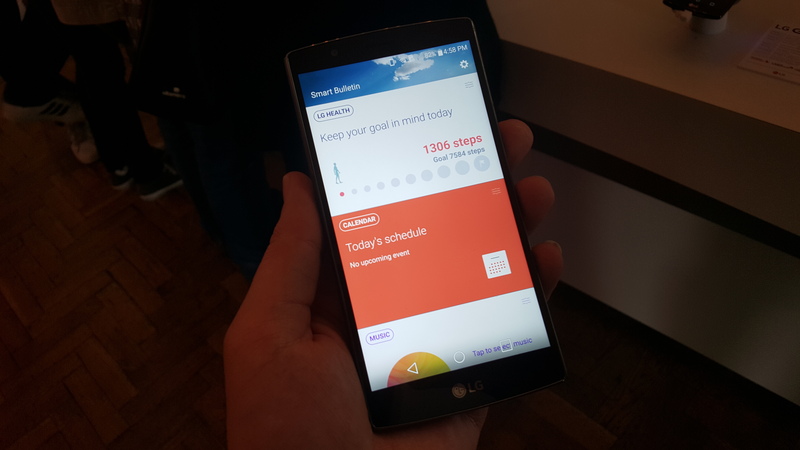 The Calendar Event Pocket is another new addition for the G4; this lets you easily add and view all your different calendar information and appointments in one place, to make your scheduling life a little bit easier. 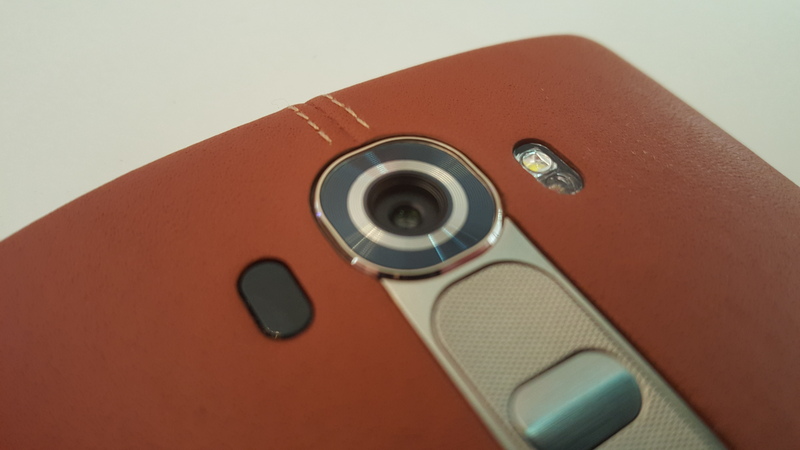 One point of frustration on the G3 was the battery, which struggled to make it through a full day for a heavy user. This time around the G4 has a 3,000mAh battery, which the company says will be more than enough for most people. Obviously, having spent just a few minutes using the device, we can’t confirm this yet, but one of the tweaks made for the new model was to optimize the UI, which LG says uses 11 percent less battery power overall than previously. The Smart Notifications system will warn you about power-hungry apps draining your battery in the background, too. Perhaps the most notable upgrade, on paper at least, is the camera. The G4 has a 16-megapixel f1.8 aperture sensor on the rear – and an all new ‘manual’ mode to give you control of white balance, shutter speed and other advanced settings, like saving images as both JPEG and RAW files directly. 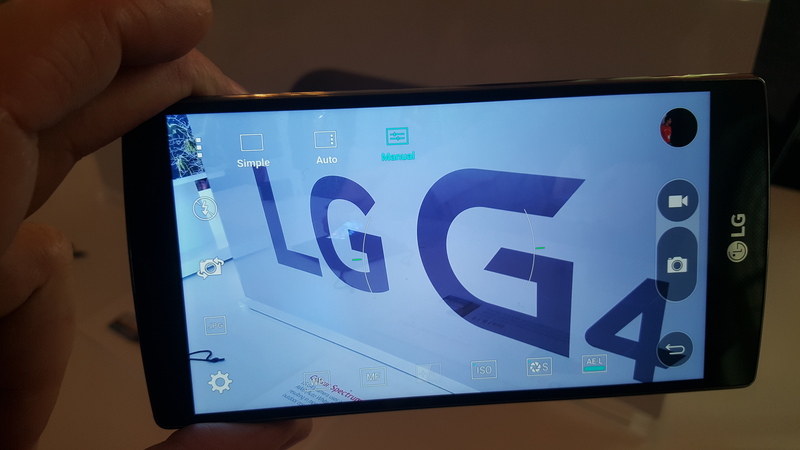 As well as providing a wider aperture to allow more light into images, the G4 also has three-degree Optical Image Stabilization (OIS) and is the first of its handsets to offer a Color Spectrum Sensor, which LG says results in better image saturation and color balance. We’ll have to wait for our review to find out for sure though. In our very limited testing, images were sharp and clear – and taken without any sort of delay, clearly helped along by the ‘laser’ autofocus system. At first pass, the G4 looks to be a fully capable smartphone with a well thought out feature set. LG, and Samsung, have both taken measures to cut back on superfluous software features and bloatware, which will be appreciated by most people. What Samsung can offer, however, are features like a heart rate sensor, or waterproofing, on its smartphones. HTC, by contrast, tends to offer a great audio experience. To some people, these sort of features are excessive, but to others they’re essential to seal the sale. A specific feature doesn’t jump to mind for LG, and there’s nothing here to ‘wow’ anyone familiar with the last generation. With the majority of the focus on the camera and usability improvements, the G4 is a refinement of an already solid flagship smartphone. Its leather-backed looks and curved chassis won’t be for everyone, but as a G3 owner, I’m certainly looking forward to its release at the end of May. Check back for our full review.